Berlin – Native Instruments today introduced MOLTEN VEIL – a new MASCHINE Expansion aimed at producers looking for the bold, dynamic sound of mainroom tech house styles. The expansion was curated by Umek – a 20-year veteran of the international tech house scene. 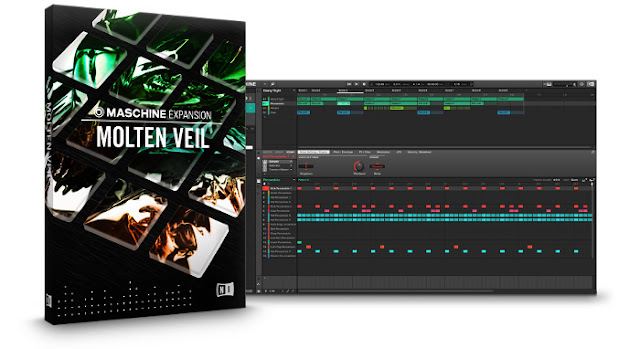 MOLTEN VEIL runs in the latest MASCHINE software on MASCHINE STUDIO, MASCHINE, or MASCHINE MIKRO and is available exclusively at the NI Online Shop. A compact version for iMASCHINE is also available via the iMASCHINE in-app store. Enter to Win a Boutique Camping Extravaganza Experience + much more at Enchanted Forest Gathering 2016 (over $2000 worth of prizes)! NorCal’s premiere music, movement and conscious living festival, Enchanted Forest Gathering, is offering an awesome opportunity to win an incredible Boutique Camping Package and much more for the 2016 festival installment taking place July 22-24, 2016 in Laytonville, CA. Now in its 6th year of production, the festival creates close-knit community experiences within a fairytale setting of majestic Oak trees at Black Oak Ranch in Laytonville, CA. 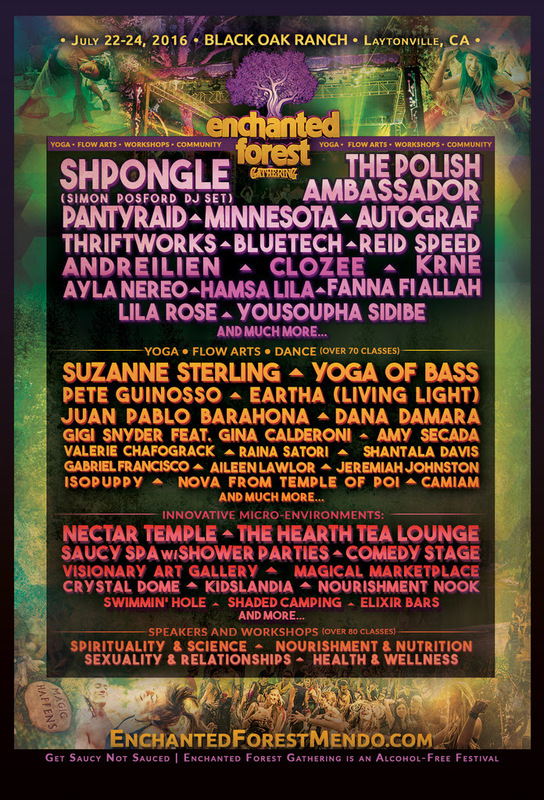 The 2016 gathering will showcase over 70 internationally-acclaimed live and electronic musical acts, including headliners Shpongle, The Polish Ambassador, Ayla Nereo, Hamsa Lila, PANTyRAiD, Minnesota, Fana Fi Allah, Autograf, Lila Rose, and Thriftworks performing atop four stunningly-constructed stages. Plus it has an educational zone with over 40 classes and a movement festival within a festival with over 50 yoga, dance, and flow arts workshops with world-class teachers Suzanne Sterling, Conscious Living School’s Juan Pablo Barahona, and DJ FreQ Nasty joined by Yoga/Meditation leader Claire Thompson who will bring the widely successful Yoga of Bass and much more. Scattered throughout the festival grounds are magical interactive micro-environments such as the Crystal Dome, Nectar Temple, Tea Lounge, Comedy Stage, visionary art gallery, refreshing watering holes, shaded stages, a Kids Village, a nourishment nook and an Artisan Village. All walks of life will find something special from the festival’s vast offerings in this unique “get saucy, not sauced” alcohol free event. 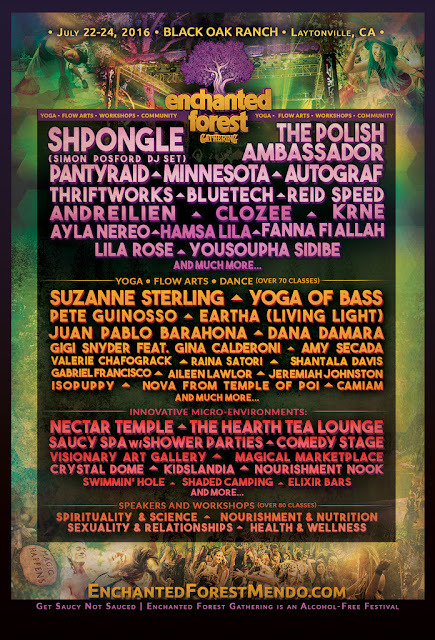 For more information and to purchase tickets or upgrade packages, go to the Enchanted Forest Gathering website. 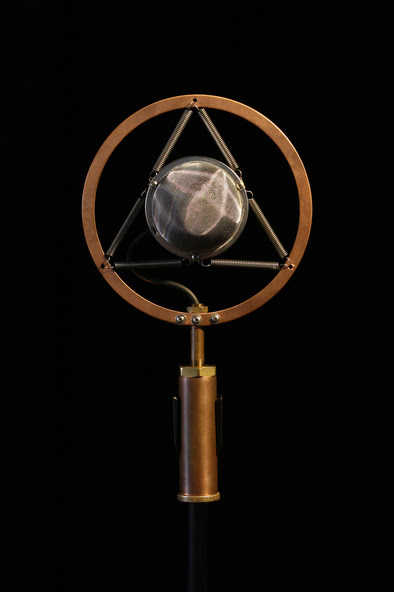 Ear Trumpet Labs announces Josephine, the newest addition to their premier product line of microphones handcrafted in Portland, OR. A medium-large diaphragm (26mm) condenser microphone, Josephine, is designed for live vocal and ensemble use, with an avant-garde styling evocative of 1930s and 40s classic microphones. Josephine is optimized for use by singers or acoustic ensembles from 6” to 48” away. The design, form-factor, and sound are ideal for period swing or jazz vocalists or single-mic techniques with bluegrass or traditional musicians, with significantly better feedback rejection than the large diaphragm condenser's typically used in these applications. The design is largely comprised from standard hardware elements and features a spherical stainless steel mesh headbasket spring-suspended in a six-inch diameter copper. 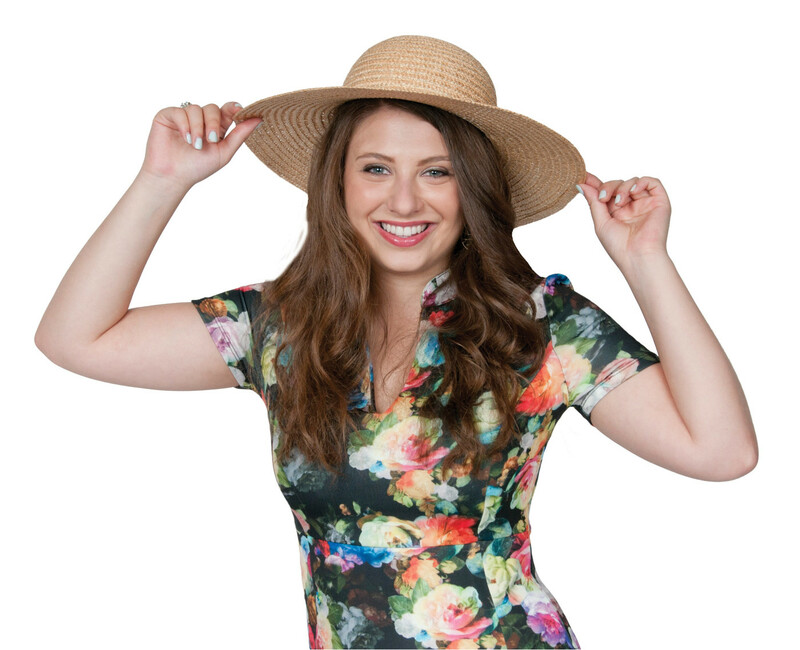 The headbasket incorporates a very effective silk and foam pop filter as well as Sorbothane shock and vibration damping to minimize handling noise, and internal rubber baffles to shape the sound of the mic. 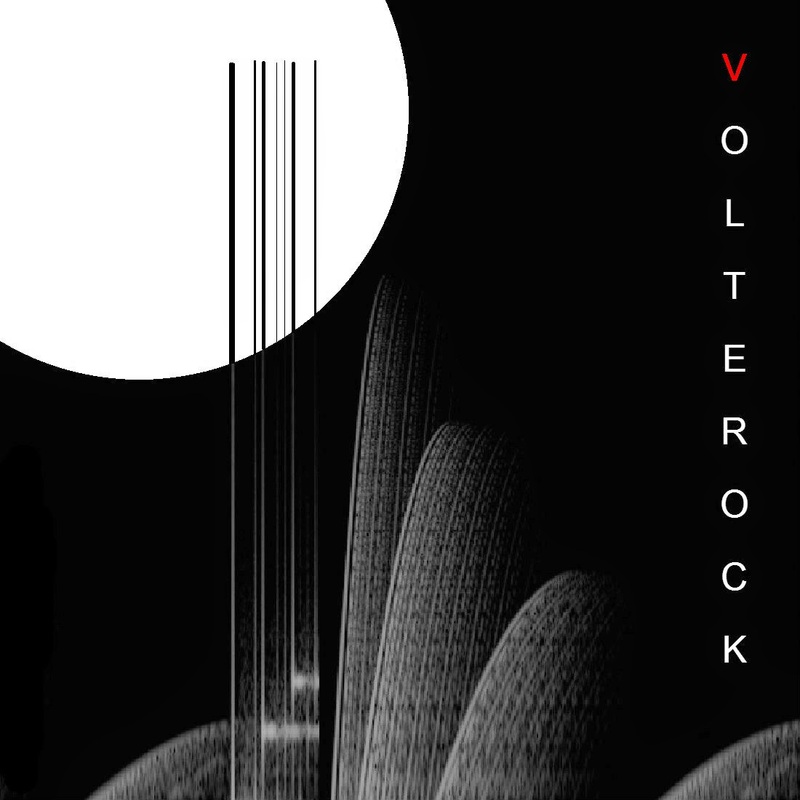 The circuit includes moderate bass roll off to compensate for proximity effect, and high frequency EQ to avoid harshness and help control feedback. The cardioid polar pattern, headbasket design, and tuned electronics all work together to make a very stable live mic with an extremely natural sound and good feedback rejection. iZotope, Inc., makers of award-winning software for audio production, has unveiled Pro Audio Essentials, a free game-based course for music producers to practice and improve their audio skills. 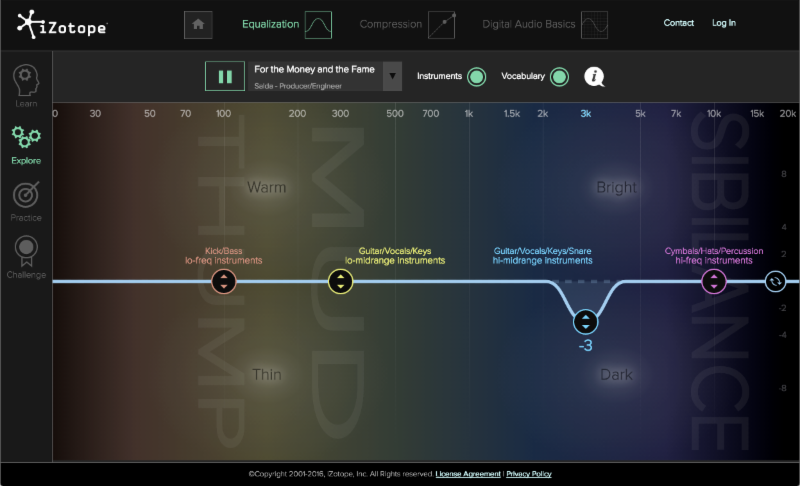 This web-based educational experience is the first of its kind in the audio education space, offering a unique combination of audio games, ear training, and instructional videos that help music makers flourish in an interactive learning environment. 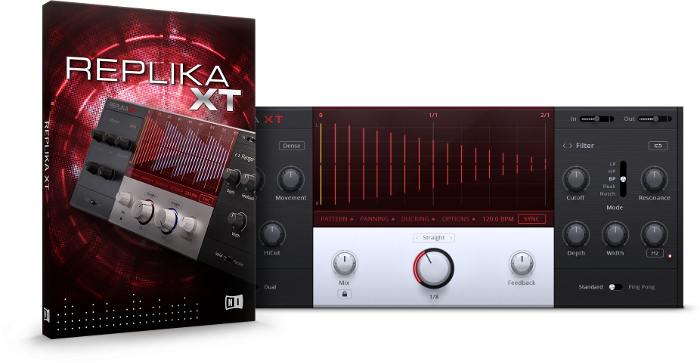 Native Instruments introduced REPLIKA XT – a creative multi-mode delay. The five deeply modeled delay modes span crisp digital repeats, analog warmth, and experimental textures. Additionally, seven effects and advanced options allow producer’s to add depth and width to their mixes with refined control. The plug-in is aimed at producer’s who need an easy-to-use, all-in-one studio delay for echoes, special effects, and production tricks. REPLIKA XT is available at the NI Online Shop. Registered owners of the original REPLIKA qualify for special upgrade pricing. May 20, 2016 - IK Multimedia, a global leader in music technology hardware and software, is proud to announce a new strategic partnership with Steinberg Media Technologies GmbH and the newly updated Cubasis LE for iPad. Owners of select IK Multimedia iRig hardware products including iRig Keys, iRig Keys Mini, iRig Keys Pro, iRig Pads, iRig Mic HD, iRig Mic Studio, iRig HD, iRig Pro & iRig Pro DUO can now unlock the Cubasis LE feature set simply by plugging in their IK hardware. Cubasis LE provides musicians with up to 4 audio and 4 MIDI tracks, 2 stereo inputs, 4 effects plugins (Delay, StudioEQ, Chorus, Brickwall Limiter), 25 instrument sounds, 22 MicroSonic instrument presets and 3 Allen Morgan drum instruments. Cubasis LE is the compact version of Steinberg’s streamlined, multitouch sequencer for the iPad, providing the same look and feel of its bigger brother Cubasis. Specially designed for quick and easy operation, Cubasis LE makes recording, editing and mixing a breeze. Cubasis LE includes MicroSonic, an intuitive and easy-to-use virtual instrument which can be played with IK’s iRig Keys line or iRig Pads MIDI controllers with no additional setup. Song ideas can be captured with up to four audio tracks with IK's iRig interfaces and microphones, and further edited and polished to perfection with the integrated editors, mixer and selected effects. Thanks to the project importer, musicians can even open Cubasis LE projects in Cubase - both on Windows and Mac. With touch-intuitive production tools, Cubasis LE opens up a new world of creative possibilities. When users upgrade to the Cubasis full feature set they also get Inter-app audio, which means musicians can use their IK hardware and IK apps like AmpliTube®, AmpliTube MESA/Boogie®, AmpliTube Fender®, AmpliTube Jimi Hendrix™ and AmpliTube Slash, plus SampleTank, iGrand Piano and iLectric Piano inside of Cubasis LE to get the best possible industry-standard tones and sounds. With IK’s iRig Pro DUO, players can record multiple channels in Cubasis LE simultaneously. They can connect everything from high-end phantom powered condenser microphones to guitars, basses, keyboards and more. Each channel has its own input gain control so players can dial in the perfect amount of input signal for recording. With iRig Pro DUO, players can also hook up their outboard MIDI controllers thanks to the included TRS to MIDI-DIN cables and dedicated MIDI in/out jacks. Launching Cubasis LE runs the app in demo mode. To unlock the LE feature set of Cubasis LE, a compatible IK Accessory has to be connected to the iPad. 1. Launch Cubasis LE on your iPad device. 2. Connect a supported hardware device. 3. Wait for pop-up confirmation that the LE feature set has been unlocked. IK’s compatible hardware products are available now from the IK Online Store or from Authorized IK retailers worldwide. The iRig Keys line of MIDI controllers includes: iRig Keys Mini for $/€79.99, iRig Keys for $/€129.99, iRig Keys Pro for $/€149.99. iRig Pads, IK’s 4x4 Pads MIDI controller is $/€199.99. iRig Mic HD is $/€129.99, iRig Mic Studio is $/€179.99, iRig HD is $/€79.99, iRig Pro $/€129.99 & iRig Pro DUO is $/€199.99. 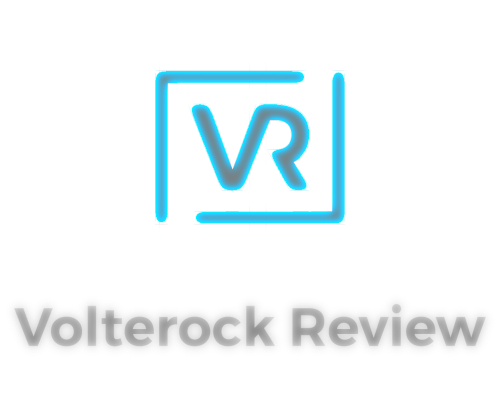 Cambridge, MA (May 18, 2016) - Inspired by decades of iconic vocal effects, from Peter Frampton to Beastie Boys to Daft Punk, iZotope, Inc. today announced the release of VocalSynth, a new creative plug-in for music producers and sound designers in search of distinctive vocals. 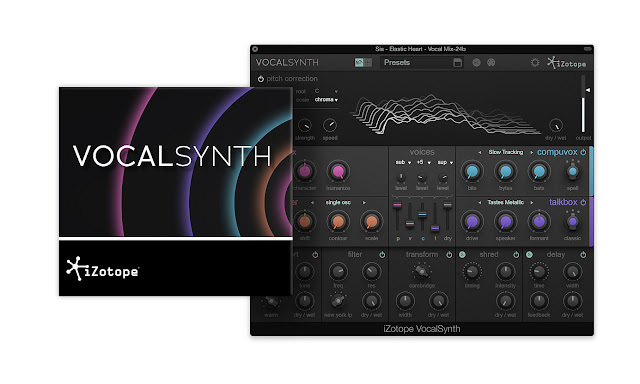 VocalSynth is the first ever plug-in to bring together four advanced vocal engines - Vocoder, Polyvoice, Compuvox, and Talkbox - alongside specialized vocal effects and pitch correction. This unique combination of tools opens up fresh potential for vocal transformation: the ability to blend the modules unlocks sounds that were previously impossible, and genre-based presets ensure that classic vocal sounds are just a click away. Austin, TX – May 10, 2016: Austin-based powered loudspeaker manufacturer BASSBOSS is well represented year round in its hometown, with speakers installed in popular venues such as Kingdom, Barcelona, Empire Control Room & Garage, and Ironwood Hall. When the South by Southwest Music and Media Conference sweeps through town every March, a broader audience is exposed to the power and clarity of BASSBOSS speakers as these venues play host to many official showcases and events. For SXSW 2016, in addition to their permanent installations around town, the company was asked to design and provide complete loudspeaker systems at two official stages, The Main I and The Main II . “The fact that so many incredible artists descend upon Austin each year is always exciting,” says Lian Amber, CEO of BASSBOSS. “Having that kind of talent and intensity in one place creates electricity in the air, and BASSBOSS was proud to feed into that with our speaker installation at The Main I and II.” BASSBOSS was tasked with providing systems that could convert a now bare space, located at the former home of Emo’s, a popular local live music club that has since relocated, into two separate clubs capable of handling the sound needs of top flight talent including Bun B and Steve Aoki. BASSBOSS president David Lee designed systems that were up to the task by utilizing some of BASSBOSS’s newest products, including the LA88 Line Array and RPX21 subwoofers. We're delighted to announce that we're now ready to release it upon the world with compatibility for the Push TWO for Live 9.6 and higher! With it you can create your own maps for all of Ableton Live's Instruments and Effects plus it will allow you to build maps for your VST's and MaxforLive devices without having to learn a line of code! Customise the naming of each parameter for display on the Push ONE & TWO screen, great for VST's that aren't developed with the Push display in mind! The PrEditor utility is compatible with our scripts for the AKAI MIDIMIX, Behringer BCF2000 & BCR2000 as well as our LaunchControl XXL script, many of which allow up to 24 parameters to be controlled at once with the available encoders! Within your product download you'll additionally find Control Surface Scripts for the AKAI APC40, APC40 MKII as well as the Ableton PUSH ONE and now Ableton PUSH TWO!! Woogie Weekend - Fresh off a sublime 12th year producing the famed Do LaB stage at Coachella and with their own world-renowned Lightning in a Bottle (LIB) arts and music festival coming up over Memorial Day Weekend, LA-based event production wizards Do LaB are proud to unveil the exhilarating 2016 lineup for Woogie Weekend festival, LIB’s splashy summer sibling. Returning to Oak Canyon Park in Silverado, CA (1.5 hours south of Los Angeles) for a sophomore season this July 8 - 10, 2016, Woogie Weekend will play host to two strikingly prominent stages - The Hive and the Beat Nest, to showcasebouncy house beats and tantalizing techno amidst the carefree prismatic vibes found within the delightfully wet ‘n’ wild playground. Materializing at Woogie Weekend this July will be a captivating collective of world-class DJs and live acts, spearheaded by visionaries Benoit & Sergio. Woogie Weekenders can look forward to sultry soundscapes arrayed by powerhouse duo, Barcelona DJs Anstascia and Vivie-Ann better known as BLOND:ISH, an exquisitely complex set from the mystifying golden-masked Claptone, and an otherworldly performance from master storyteller and musical sorcerer Damian Lazarus. Among top performances for the weekend’s festivities include dance party vibes from the regal ladies of London Eli & Fur, catchy melodies and a whirlwind of ethereal vocal samples courtesy of Kidnap Kid, and an unforgettable live set from dance floor commander Mathew Jonson (live), whose craft bends conventional laws of house and techno. 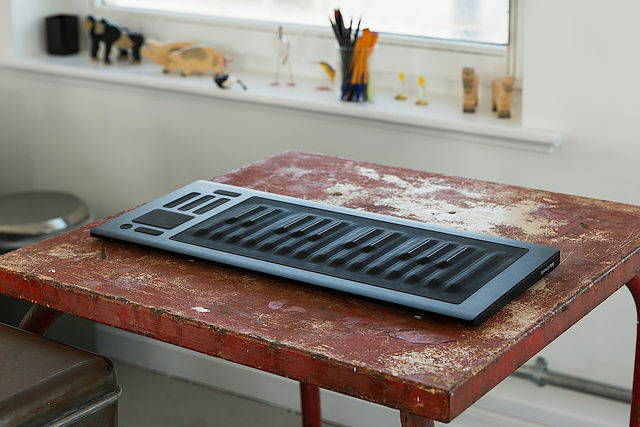 The Seaboard RISE 25, ROLI's multi-award-winning MIDI controller launched in September 2015. 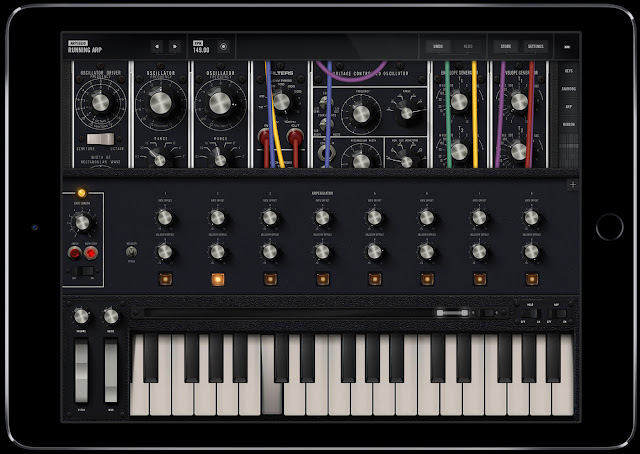 ASHEVILLE, NC – May 3, 2016 – Today, Moog announced the release of the Moog Model 15 app, an iOS version of the iconic 1970’s modular synthesizer. It is the first Moog modular synthesizer and synthesis educational tool created exclusively for iPad, iPhone and iPod touch. Good ideas often generate even greater ones: Streak FX is the audio effect derived from Streakulator, the popular midi-modulated audio effect by StrangeLines. It takes the original inspiration and becomes even easier to work with by shaping any sound or synth you put behind it in a whole new rich and complex one, all in a matter of seconds...! Streak FX is a combination of a custom chorus/flanger engine combined with a bit crushing/distortion section, animated further by a gater effect (you can make it as large or tight as you want), finally falling into a "warp" effect, it that wasn't already enough. StrangeLines - Streak FX from Isotonik Studios on Vimeo. "Version 1.3.0 of our PrEditor is a real coming of age release, it will now allow you to use one of our Custom Remote Scripts (you know the ones for the Novation LaunchControl XL, Behringer BCR, BCF, AKAI MIDIMIX etc.) or the provided versions for the Ableton Push and AKAI APC40 MKI & MKII to map to any parameter via the Blue Hand including the Push Exclusive ones!! If you've got one of the listed controller you really don't want to be missing out on this advanced control! 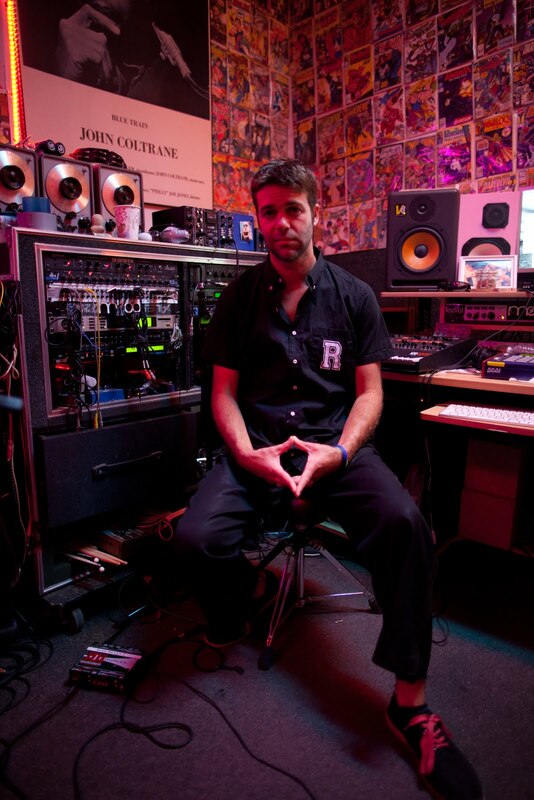 MORE DETAILS - ISOTONIK PREDITOR - £16.99 "
Montclair, NJ (April 26, 2016) - For more than 15 years, Confessions of a Record Producer has exposed the inner workings of the music business and empowered artists to protect their interests. 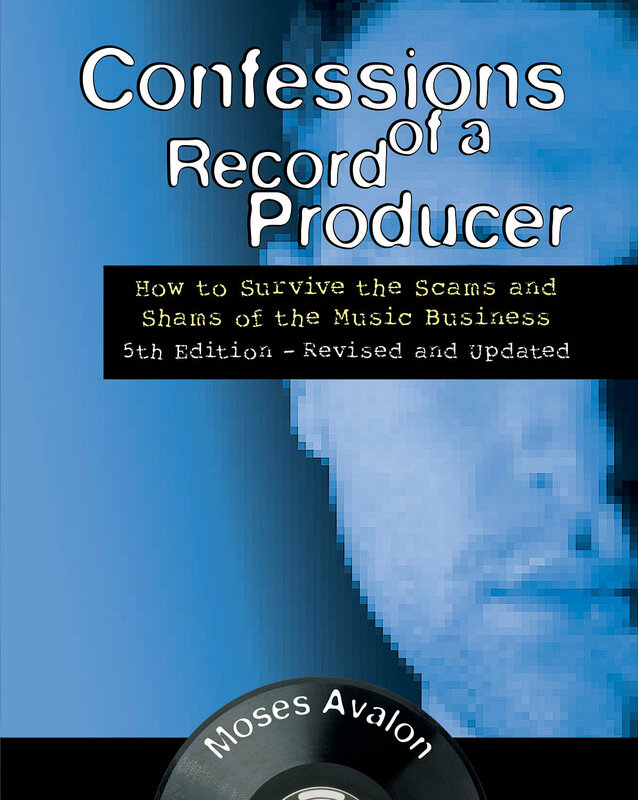 With inside knowledge and hard numbers, Moses Avalon reveals the truth of how the industry functions (or dysfunctions), showing what artists actually make from their "hits" and how producers, labels, managers, and even the artists' own lawyers conspire to rip them off. 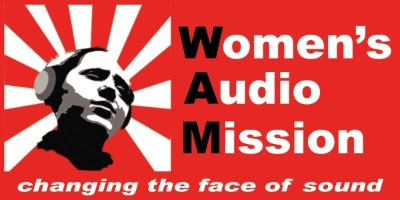 San Francisco, CA - April 25, 2016 —Women’s Audio Mission (WAM), a San Francisco-based nonprofit dedicated to the advancement of women in music production and the recording arts, presented an intensive drum recording workshop with guest celebrity drummers Kiran Gandhi, music producer and drummer for M.I.A. 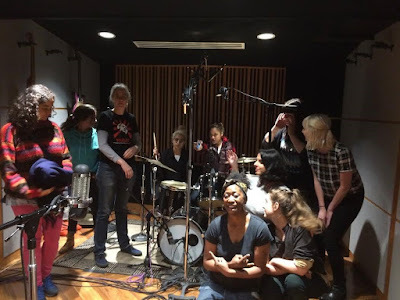 and Thievery Corporation, and Kimberly Thompson, recording artist and drummer for Beyoncé and Late Night with Seth Meyers at Women’s Audio Mission’s recording studio on April 10, 2016.